ProtectStar™ Inc., the worldwide independent IT and communications security company, has announced that it will double the prize for the FollyCrack security crackers’ competition, bringing the prize value up to USD 10,000. The company has aimed this competition to young experts with a penchant for mathematics and encryption. FollyCrack is part of the young experts promotion campaign targeting anyone between sixteen and twenty-five years of age. Originally intended as a Christmas competition, the FollyCrack competition will be extended in response to the high popularity it has received. More than a thousand visits were recorded on the competition website, www.follycrack.com, before competition kick-off on December 7, 2007. ProtectStar™ Inc. is an independent, internationally active IT and communications security specialist based in Bradenton, USA; its main activities encompass IT security, IT consultations and other IT-related services. 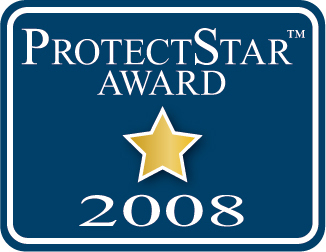 The ProtectStar™ AWARD helped ProtectStar™ TestLab reach its international acclaim. The TestLab continuously runs intensive security tests on products from brand-name manufacturers. Known for their specialised information content, these thorough test reports make an impact at international trade fairs, road shows and in specialist magazines. ProtectStar™ was the first IT security company to test and evaluate mobile consumer electronics devices such as PDAs, mobile phones and smartphones for security risks. In 2005, ProtectStar™ established its Intelligent Quality Management and Marketing (IQMM) Department in London to increase its own value-added services. IQMM subjects IT security solutions currently on the market and those just launched using innovative quality and test cycles in a highly effective sense-and-respond system. Established in 2007, ProtectStar™ Research & Development works on developing efficient encryption and deletion algorithms. 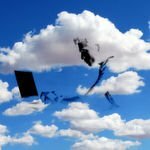 The ProtectStar™ Group has addressed social disadvantage and education shortfalls – also in IT and information security – with the ProtectStar™ Foundation NPO and Pixels4Help online aid project founded in 2006. The Group’s efforts will emphasise mobile and communications security in the short and medium term, responding to the trend towards mobile computing.